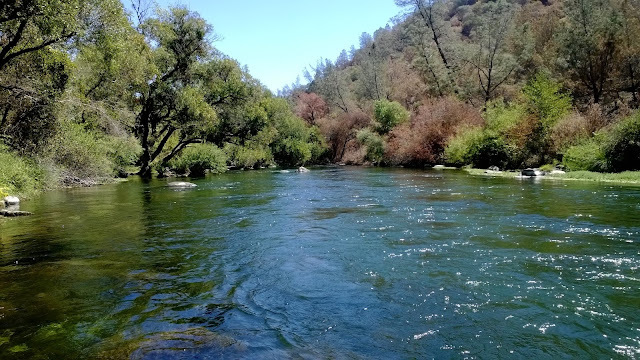 Despite Putah Creek being a tailwater fishery that is relatively short and narrow, the water is cold all year-around, deep, and has ample cover. 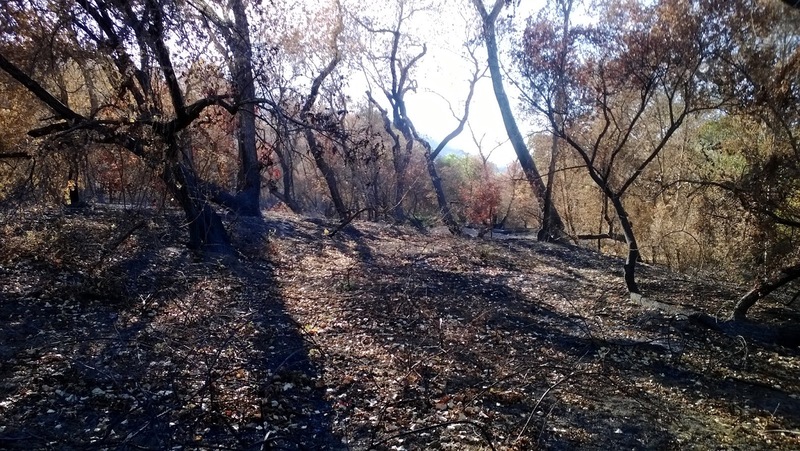 These factors are some of the reasons why Putah Creek trout grow to such immense sizes. Putah Creek trout that are 20''+ make up about 10% of the creek. 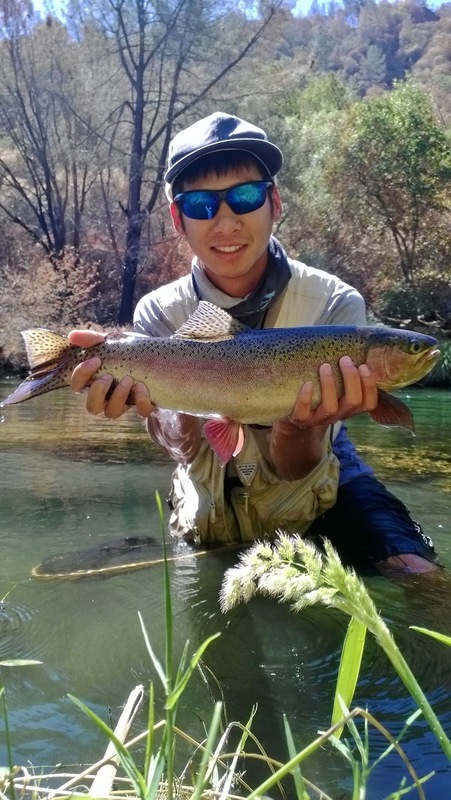 The adult male rainbow trout, also known as a buck, of Putah Creek are what the local anglers refer to as "The Beast of Putah Creek" due to their dark colors, kyped (hooked) jaw, and huge body. These beast are elusive creatures that are not easily caught. Now that I am more familiar with the creek, I set out to find myself a monster. Since my last visit, the creek was lowered to a flow of 350 CFS. These flows lowered the creek about 1ft and gave me access to about 70% of the areas I wasn't able to fish my previous trip. In my opinion, these flows are almost perfect. The wading is still challenging but not nearly as dangerous. The water is still high but not as fast. By the look and feel of theses flows, I'm thinking that a flow of 250 CFS would be absolutely perfect to fish. Throughout the day I skipped around all the parking accesses and explored some new water. The lowered flows attracted a few anglers to come out and try to fish the creek as well. As I passed by these anglers, I started to notice that only those who were keyed in on the creek's secrets caught fish. Putah Creek rainbows are not easy to catch. When a trout grows to a certain size, nymphs are no longer a sustainable food source. These big trout have official graduated from Trout University and are now higher on the food chain. Smaller fish is what's for dinner. To imitate small fish, streamer patterns that match the hatch work the best. Go go Hero Sculpin! Wading access to the creek is pretty limited giving big trout plenty of spots to hide and avoid anglers. Although I hooked several fish throughout the day, all of them threw the hook except my first Putah Creek trophy. After covering a few spots with no hits, I hiked and fished a run with a deep channel and plenty of cover. As I stripped in my fly, I felt a take and it felt huge. The water was gin clear and allowed me to watch as the beautiful bow shook its entire body to throw the hook. During the fight, I noticed that this fish wasn't much of a runner and used its weight to its advantage instead of the current. This allowed me to control the fight and in the end land my first Putah Creek trophy trout. Dark colors, check. Big body, check. Kype jaw, nope. Although the big fish I caught was a beauty, it was a female. Not the fish I was looking for but a great fish nevertheless. 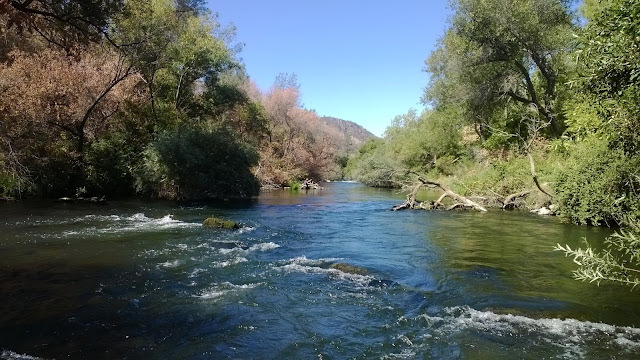 Now that I have more confidence fly fishing the creek for big fish, I will continue to fish Putah Creek in hopes of one day landing a true beast. Be aware that there is a huge infestation of New Zealand Mudsnails in Putah Creek. These mudsnails reproduce extremely fast and out-compete our native aquatic insects for food. 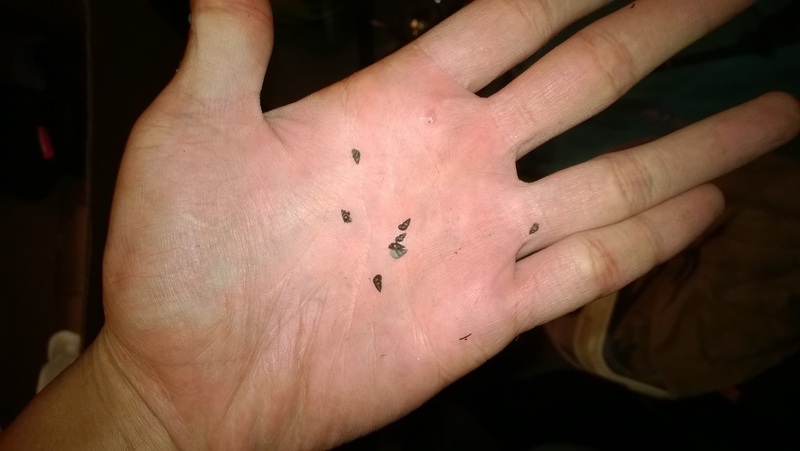 There is currently no solution in controlling these mudsnails and it is advise that anglers not jump into another body of water after fishing Putah Creek. New Zealand Mudsnails have a 100% chance of hitchhiking on gear (proven from my experience), therefore switch outfits if you're going to fish elsewhere or thoroughly clean your gear before entering a new body of water.